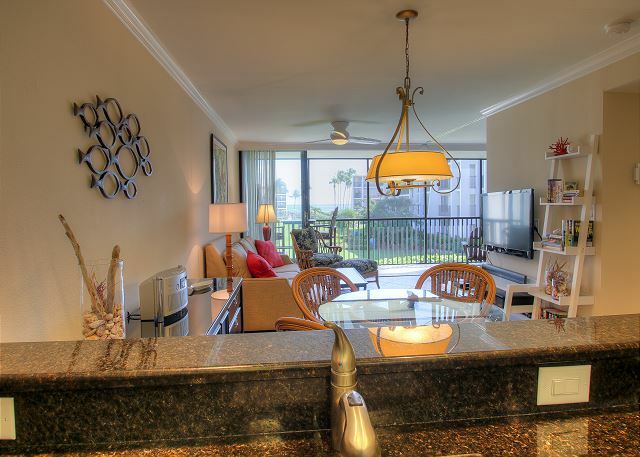 Sundial C208: Wonderfully Updated, Amazing Views and In-Suite Washer & Dryer! 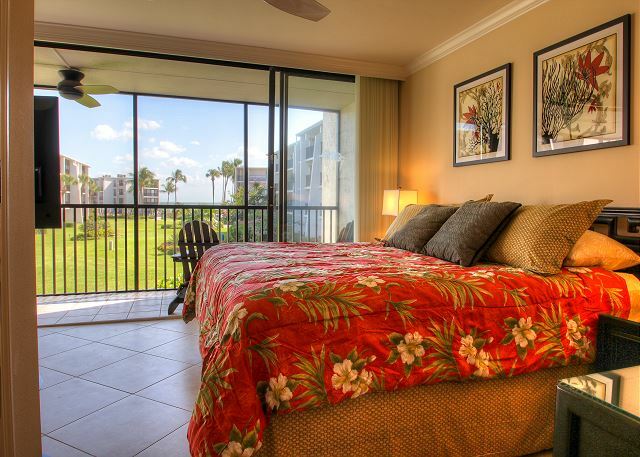 Located in the Sundial Beach Resort, C-208 is a clean, comfortable and calming one bedroom/studio. The bedroom and living room area can be closed off from one another with their newly installed wooden pocket doors to allow for privacy if needed. 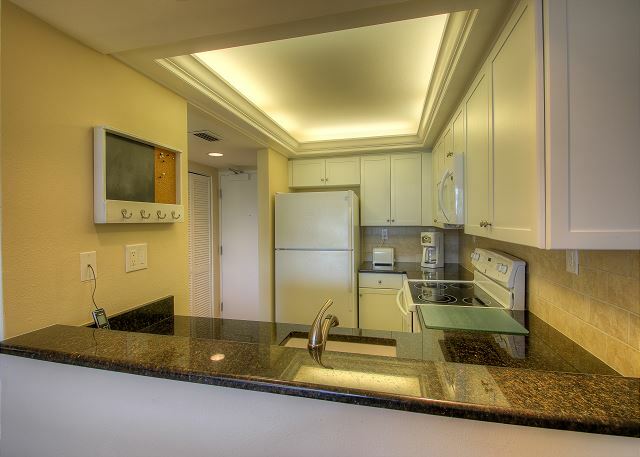 The unit has been completely remodeled and updated with lovely finishes and it even has a washer and dryer in the unit! Recent updates include new tile floors throughout, new granite countertops in the kitchen and bathroom and new updated white cabinetry. Did I mention the exceptional view of the Gulf of Mexico? It is truly captivating and is sure to bring peace and calm on a daily basis. 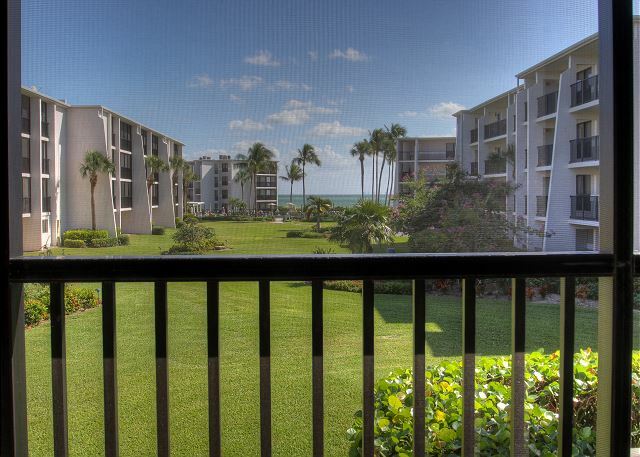 This condo with a view would be great for a couples getaway on lovely Sanibel Island where you can wash all your cares away. Condo/Resort amenities include: 1 bedroom/1 bathroom -- King bed with pull out queen sleeper sofa bed (sleeps 4), 2 TV's & DVD player, free cable & WIFI, multiple heated pools, in suite washer & dryer, public BBQ grills, elevators, multiple on-site restaurants venues, and Bailey's Marketplace (for light grocery needs). No Pets allowed. This unit is non-smoking with a maximum occupancy of 4 people. This unit comes stocked with beach chairs, beach towels and an umbrella. PLEASE NOTE: SOME SUNDIAL RESORT AMENITIES ARE NOT ACCESSIBLE WITH THE RENTAL OF THIS CONDO, INCLUDING THE MAIN RESORT POOL WITH SLIDE, TENNIS & PICKLE BALL COURTS, BIKE AND KAYAK RENTALS, BEACH CHAIR AND CABANA RENTALS AND FITNESS CENTER. SUNDIAL RESORT GUESTS PAY A PREMIUM FOR THESE AMENITIES WHICH ARE NOT AVAILABLE TO OUR GUESTS. 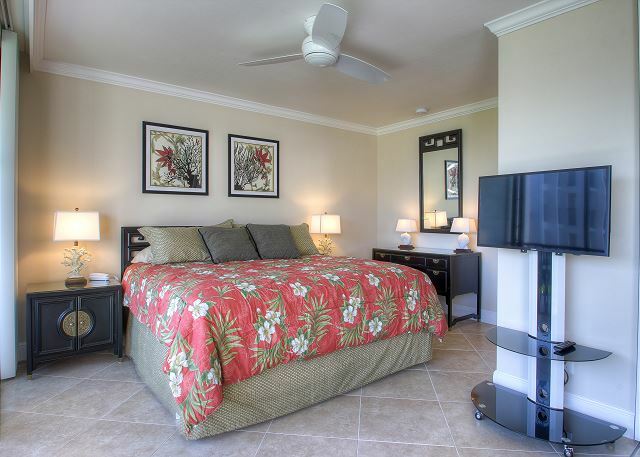 *3 night minimum - Inquire for rates and availability for stays less than 7 nights. 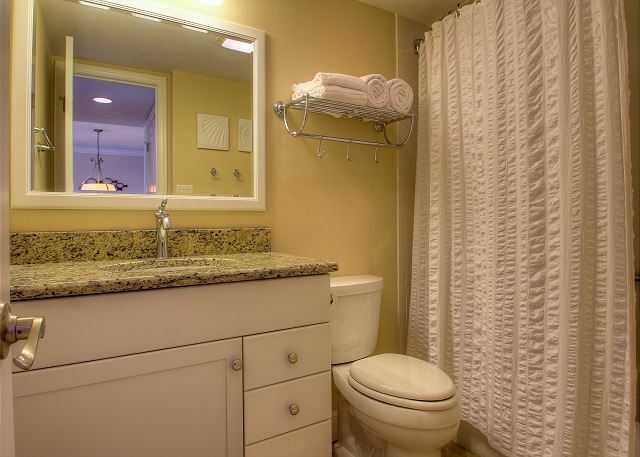 Guest Reviews of sundial c208: wonderfully updated, amazing views and in-suite washer & dryer! The unit was was decorated very nicely and was very included beach towels, chairs and umbrella and even had a couple coolers to use.There were books to read and a couple games for those rainy days.Location was great, just a short 5 minute walk to the beach and a short drive to many restaurants.W/D in unit was a big plus. Would definitely stay here again. Thank you so much for your review of Sundial C208! We are so happy to hear that the extra beach items were able to come in handy! We can't wait to see you again in the future! 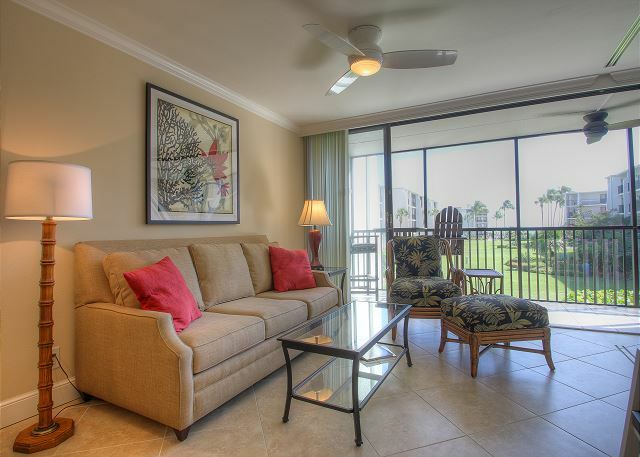 The condo was just as described and pictured except that the view of the gulf was better than depicted. Size was perfect for 2, it would be crowded for 4. The pool and beach access were great. The Sundial resort is well located and very nice. Sanibel Vacations took excellent care of us. Thank you so much for your review of Sundial C208! We are so glad we could help find a location to meet all of your needs! We are also very happy you were pleased with your views from the condo. We hope we can help you plan another trip to Sanibel! I and my beautiful bride stayed in building C, Condo 208 and really enjoyed it. We have only one complaint, the Condo above us was really loud in the evenings, sliding furniture, slamming doors and walking loudly on the floors alot till 12 midnight. I really can't believe that people could move furniture that much in a Condo in one night. On a better note, our Condo was real clean, and had everything but a kleenex box in the bathroom as was promised, but the location was super, not very far to the beach at all. Everything worked like it should have. Would I stay with SBL Vacations again?, yes I would. They made it enjoyable. Thanks SBL. Thank you so much for taking the time to review Sundial C208. Please feel free to reach out to us in the future. We are happy to help with those situations. We also would have brought over the kleenex! It was a pleasure meeting you and we hope you will stay with us again in the future! 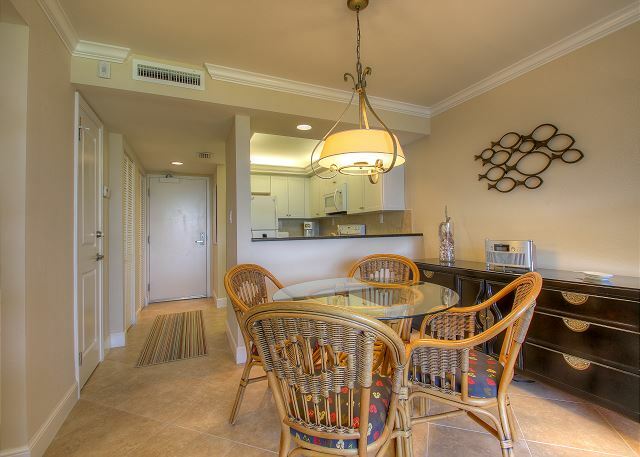 The condo is in a good location and very close to the beach. It was great for 2 people.Very clean. Only a couple of negatives. The vertical blinds were inconvenient and coming apart. It would also be helpful to have some luggage racks as there isn't much storage for clothes other than the closet. A couple of small chest of drawers would be better than the bedside cabinets and dressing table. 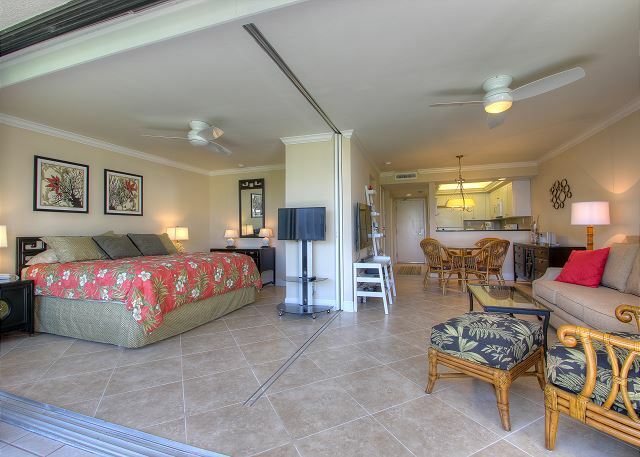 I loved the screened lanai with the ceiling fan. Thank you so much for your review! We appreciate your feedback and will pass this along to the owner of Sundial C208! We are so glad you enjoyed your stay. Please let us know the next time you are ready to plan your vacation! We are happy to help! Our unit was very comfortable and well furnished. Beautiful view of the ocean, we enjoyed several breakfast and lunches on the balcony. Rental experience went smooth. I would like to talk to a person rather than dealing with the reservation over the Internet, however it all worked out fine. We are so glad you enjoyed your time on Sanibel! Sundial Resort does have beautiful views of the Gulf. In the future, you can always call us to make a reservation! We are happy to speak with you and help you plan! We hope you will stay with us again in the future! 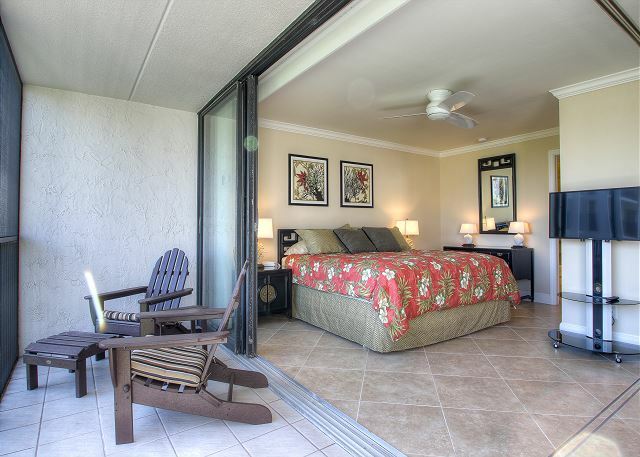 This is the first time renting via VRBO/Sanibel Vacations. We had a late arrival & our keys were waiting for us as promised at SBV office drop box. 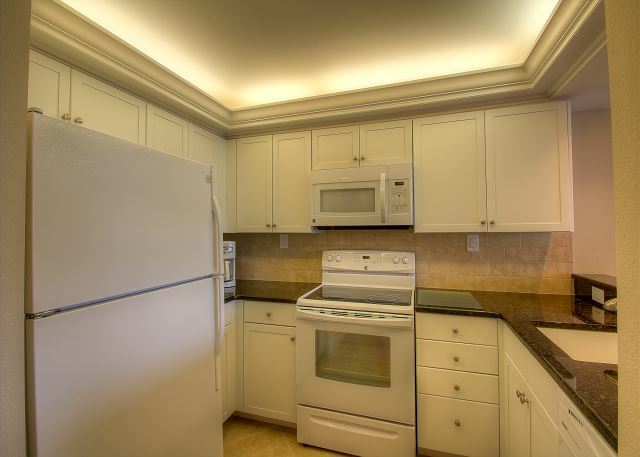 The condo unit was more than we expected: it appeared to be newly updated with fresh paint and was tastefully decorated. It was spotless & it well stocked with kitchen, bath and Beach items. The set up was great for two people and would probably work with 1 or 2 more. The unit is set back from the beach, but the view is still great! The screened porch with table, chairs & large sliding glass doors was an added bonus. It was a short walk to the pool, beach & restaurants of Sundial. It was a great choice that I would highly recommend. Thank you so much for your review! It was a pleasure having you! I am so glad you enjoyed your trip! We would love to help you plan another vacation to Sanibel in the future! Thank you so much for your feedback. We will definitely pass this information along. 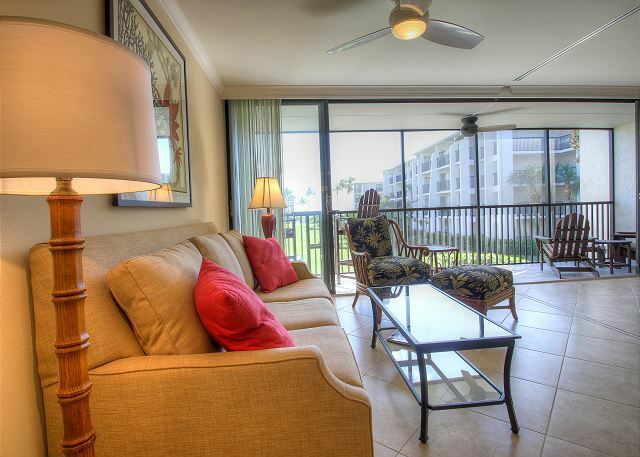 We hope you will stay with us again while visiting Sanibel! My husband and I had a lovely stay. The condo is perfectly situated in the development and on the island. It was clean, attractive and in good condition. Effective drawer space in the bedroom, rather than in the dining area, would be the only suggestion for improvement. Overall, a perfectly lovely stay during a cool, yet sunny, week. Hi Irene, thank you so much for your feedback! We will definitely pass this information along. Thank you so much and we hope you will stay with us again! Very easy and efficient booking procedure. A lovely welcome to the condo. SBL were attentive and dealt with any issues we had promptly. 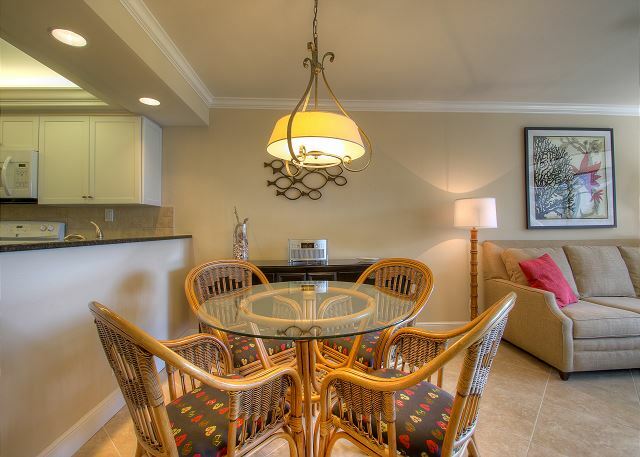 This was our 4th stay at Sundial and the Condo was clean, comfortable and in a great location. Would definitely recommend SBL, the condo and resort. Mr. Willet, Thank you so much for taking the time to leave feedback. We are all so happy to know you had a great vacation on Sanibel Island. We hope you will stay with us again during your next visit! We are so happy that the two of you had such a great time. We look forward to seeing you again in the future. My family of three stayed here for the week and it was a wonderful stay! The property was central to everything. The property check-in/check-out went flawlessly and the place was immaculate. We loved our view of the ocean and were happy with how close we were to the pool and beach. The master bed was quite hard for us, and a few a the blinds were broken. The only thing I would suggest is a mattress cover and having those blinds fixed for the "not so early risers", like ourselves. Thank you for making our vacation a memorable one! Glad your family had a great time and we love to know that the check in was "painless" as we pride ourselves to making sure your vacation is beyond outstanding. And you will be happy to know blinds have been replaced!!! My husband and I spent a few days on Sanibel and decided upon this unit since it has a washer and dryer...yep, that was the main reason I chose it! It's a very nice unit. Pictures are accurate depiction though we both were surprised it was "smaller" in person. Place is bright and very clean. Loved the large screened in patio...that has a ceiling fan too! A short couple minute walk brings you to the beach or pool. And it is located close to shopping, grocery stores, and restaurants...We were only there a few days so didn't take advantage of all that Sanibel and the resort offer such as SUP, kayaks and biking. We enjoyed being lazy!!! We were able to check in an hour earlier (when we arrived) which was a plus. There were some minor issues with the rental, such as missing vertical they had two gaps when closed all the way. And also the pocket doors that closed off the bedroom from the living room...one was cracked at the top and made closing them difficult. We ended up just leaving them open anyway as it was just the two of us staying there. I sent pictures of the "damage" to the rental company so they were aware of the issues but also let them know it was not something that needed immediate attention since we weren't staying there all that long anyway. People at the management company were very friendly and easy to work with. If we were to come back, we would definitely consider staying at this unit again. It does sleep four, but it would be tight plus with one bathroom...would be difficult. We LOVE Sanibel. Overall, a good experience staying here. We would like to thank you for your business. We appreciate that. The condo was very clean and the furnishings were nice. The grounds were beautiful and very well maintained. My husband, 13 yo son, 11 yo daughter, and I had a great time here and would definitely stay here again. We didn't want to leave!! We are so happy you had a wonderful vacation with your family. We didn't want you to leave either! In general, our ten-day stay was wonderfully uneventful for a senior age married couple. The weather was about the degrees above normal, in the mid-80's, which suited us. The condo was accurately described. The management co. was always responsive and pleasant. We are glad you had a wonderful stay with us and we look forward in seeing you again. We really enjoyed our stay, the condo was very clean and well equipped. The one suggestion I would make is to replace the mattress, very bumpy. Thank you for staying with us! and Noted on the Mattress! Our condo was very clean and up-to-date. We had a lovely view of the gulf from the lani. It was a great place to enjoy all that Sanibel has to offer. We would love to come back soon! This condo was good for couple. Sundial C208 was everything that we hoped it would be!! The pictures online nailed it! View was spectacular and the appointments of this beautiful condo are amazing! We'll be back! Apartment was clean, well stocked, and comfortable. A delightful vacation in paradise! We had a great time at the Sundial! 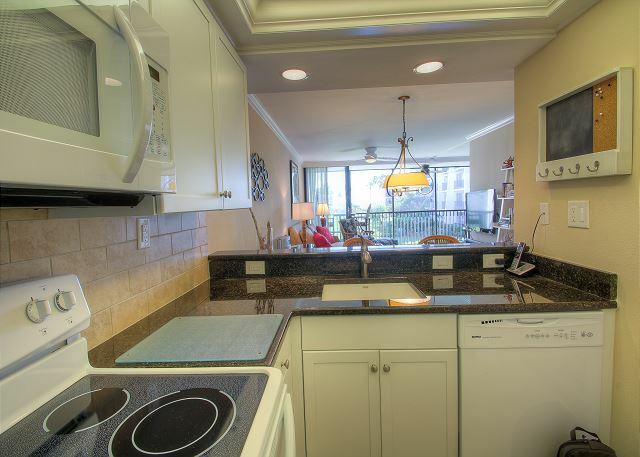 The condo is beautiful and has everything you could possibly need. We will be back! Thank you so much for submitting such wonderful feedback. 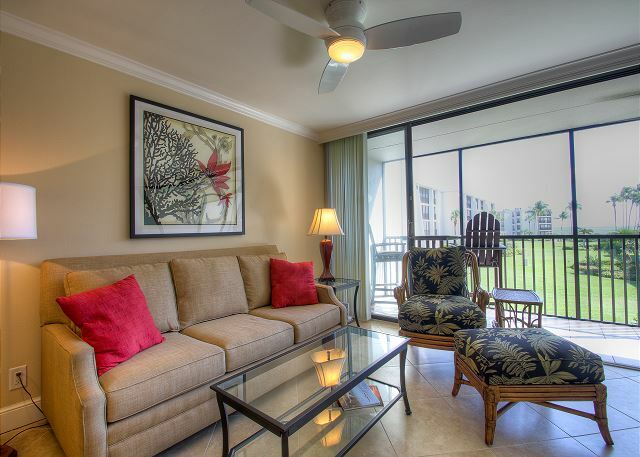 We are thrilled that you and your family enjoyed your stay in our Sundial C208 property and your time on the island! We look forward to your return to Sanibel! Great communication. Everyone at Sanibel Vacations were wonderful. 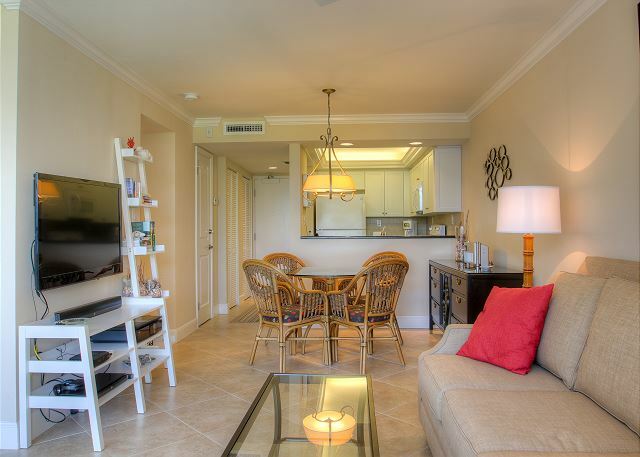 The condo was perfect, awesome location just steps from the beach. Thank you for your kind words, Rick! 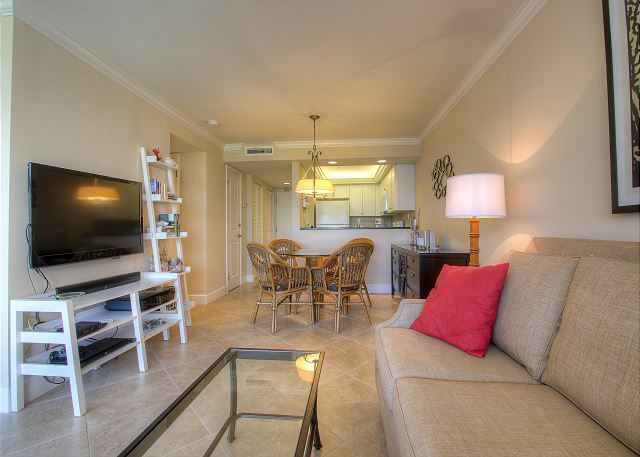 We are thrilled that you had such a great experience in our condo and we look forward to your return! 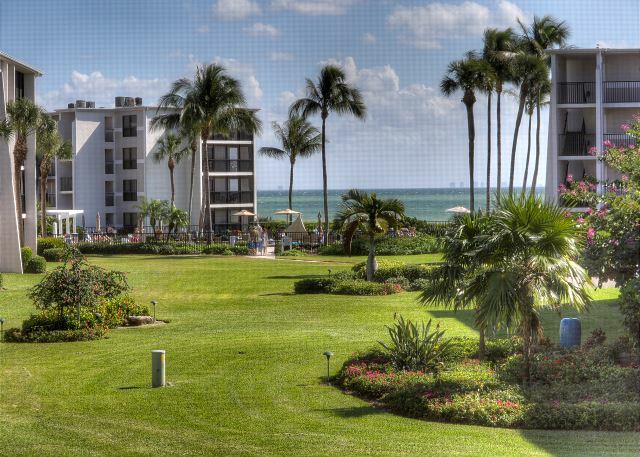 I love Sanibel/Captiva, and Sundial is a in a great location. Thank you, Wayne! It was great to see you again. Come back soon! Very clean and nice condo. Little disappointed in maintenance/Rental agency not getting the door lock mechanism fixed. It was very tricky and took several attempts to open the door. I would definitely recommend this unit and we would stay here again. Hopefully they can fix the door lock. Mr. Rael, We are glad you enjoyed your stay on Sanibel and we would love to have you back. You will be happy to know that the lock issue has been corrected. I can't remember the last time my husband and I had the opportunity to have a getaway alone - just the two of us. We arrived a bit early for the condo, but were told it was ready for us to check in, so we were pleased about that. We got to the condo with no problems and it was very clean and perfect for my husband and I. We had everything we needed at the condo, including beach towels and an umbrella. It was perfect! Thanks for making our getaway memorable. Thank you for such kind words, Terri! We are thrilled you had such a lovely and memorable vacation away with your husband. 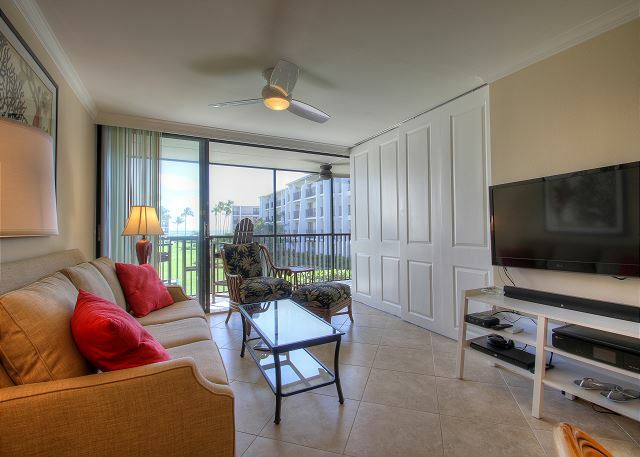 We hope we added comfort and convenience to your relaxing Sanibel getaway! Please come back and see us soon! We have stayed at Sundial many times over the last 20 years with our family, this year it was just my husband and I and we really enjoyed this unit, very clean, comfortable, fantastic view, just the right size for the two of us! Loved it! Would definitely go back and stay there! This is the place to stay. We have been coming to Sanibel and staying at the Sundial for 16 years. After staying in C208 this trip we now a new #1. This is by far our favorite condo to stay in. 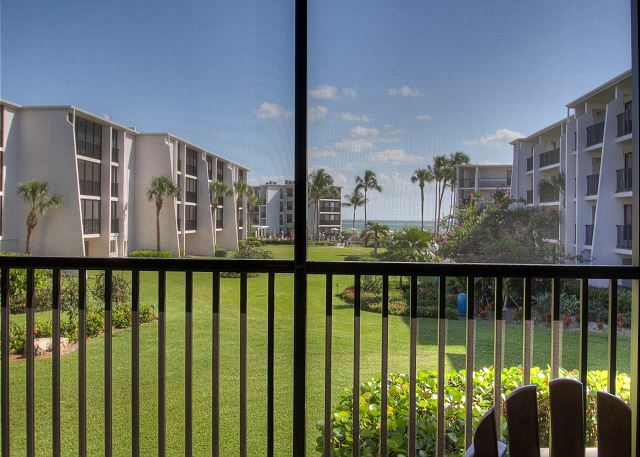 Everything from the location, view, and the perfectly furnished accommodations makes this an ideal place to call home while you vacation on Sanibel island. We are so very happy that you enjoyed your vacation with us. We look forward to seeing you next year! VERY clean, VERY nicely appointed condo. 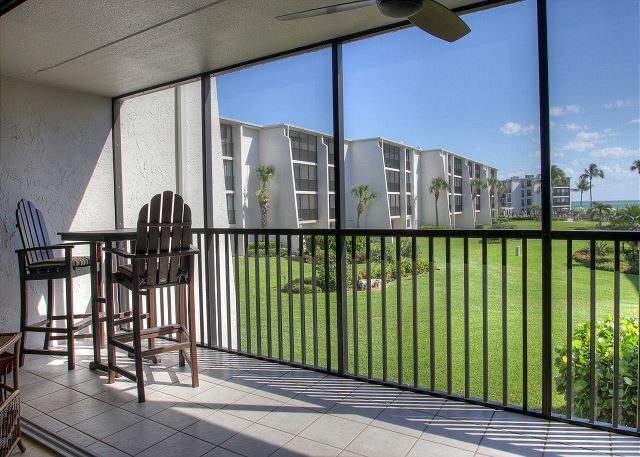 Quiet and tranquil setting with anice view of the gulf. 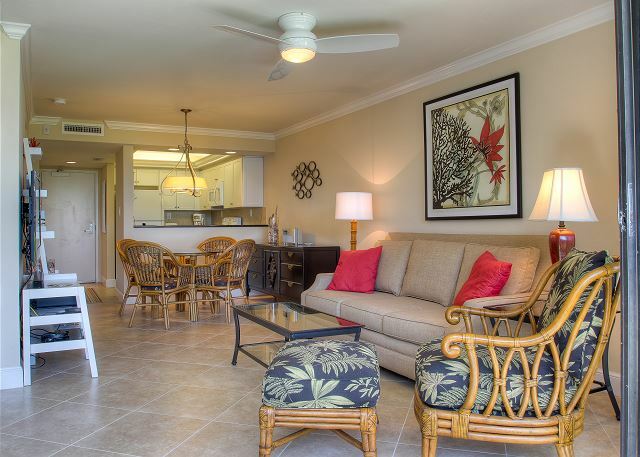 Close to the elevator and a quick walk to the beach and pool. Sanibel Vacations were accommodating in getting us in early. Sundial has a great happy hour for lunch so you never need to leave the beach. The small market onsite provides less trips to the supermarket. Hit all of our favorite spots-Island Cow, Doc Fords an of course the greatest sunsets ever at Mad Hatter. Definitely coming back!! Lovely up-to-date unit which was perfect for the two of us. I had a fabulous stay at Sundial 208. It was perfect for a single person to get away from work yet I would equally recommend it for a couple. Cannot wait to return! 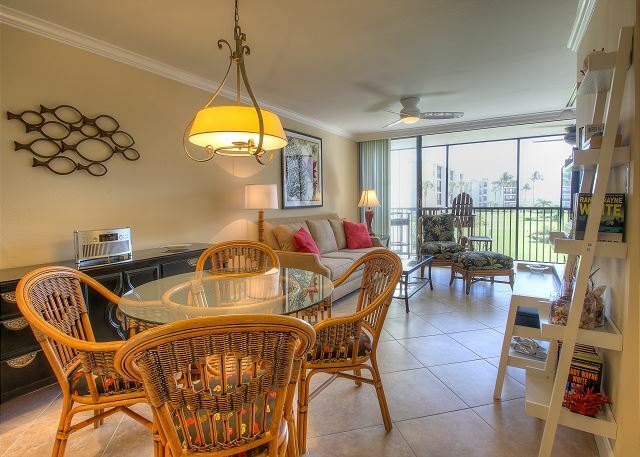 Sundial C208 is a great little condo - fully renovated, screened in porch with furniture - great view! Short walk to beach!! Kitchen fully equipped for grilling/cooking. Beds very comfortable etc etc Beach towels, chairs and umbrella all new. We rented bikes from SBL! New Electras. Bike Trail right across street. SBL was great to work with - Highly recommend. Resort itself was very nice - it didn't seem overly crowded even though it was spring break. Beach had lots of shells. Pool was small but nice. Advertised as one-bedroom; more like a studio or efficiency. Otherwise, good overall experience.